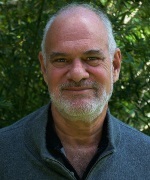 Dr. Allan Frankel says, “As a short-term life-prolonging medicine and a long-term therapy for chronic conditions, medical marijuana is a miracle drug that is endorsed by countless doctors and nurses, as well as the patients whose lives are dramatically improved by its use.” Marijuana as a medicine is a strong, safe, easy to use and extremely inexpensive if you grow it yourself as a weed in the backyard or living room. The pharmaceutical industry has nothing pharmacologically equal to cannabinoids. Marijuana is lipophilic, which means that it can be dissolved into a fat-soluble substance and then readily enters cell membranes. In other words, it can be effective when applied topically on the skin. CBD Hemp lotion can be used transdermally to relieve pain and pretty much singlehandedly resolve just about any condition on the skin with relative ease. Medical marijuana can be applied as a balm, lotion, ointment or rubbing alcohol solution. In the old days when people only had plants to use for medication, many patients would soak marijuana leaves in alcohol and apply them as a poultice to an arthritic or swollen joint. Hemp oil deeply nourishes skin cells, reduces inflammation, and helps rejuvenate a youthful feel to one’s skin. Many substances pass easily through the skin and that is why transdermal medicine has been more popular in contemporary medicine. When it comes to marijuana’s anti-inflammatory effect, people have readily experienced this process in action when applying marijuana to their skin. Patients with arthritis, muscle and joint pain can testify to the easing of the aches and pains they feel on a regular basis. Topical marijuana preparations usually provide only local relief and do not have an effect on the brain, meaning there is usually no “high” or no psychoactive effect. This is helpful for those times when marijuana use is inappropriate (like when you have to drive your car) and you still need pain relief! Topical preparations can be purchased or made at home. CBD Hemp lotions, salves and ointments are effective treatments for most skin conditions certainly for skin cancer, burns, itching, infections and rashes. Several studies have shown that marijuana can be delivered through the skin with no side effects. However there is debate about whether cannabinoids reach the central nervous system when applied transdermally. Topical applications usually have no psychoactive effect for the great majority of people. Dr. Audra Stinchcomb feels that transdermal patches are a superior method for treating various conditions, because they decrease side effects, maintain steady drug levels, and provide controlled release of cannabinoids. The study also found that the addition of certain proteins can add to permeability and that cannabinol and cannabadiol are more permeable to the skin than THC. Studies with hairless guinea pigs demonstrate that there is difficulty in obtaining a high enough plasma level to be effective, meaning transdermal application of marijuana is not a replacement for oral use which will be more effective in relieving joint or other internal pains. One hospital pathologist cut his finger during an autopsy; bacteria resistant to antibiotics infected the wound and it seemed that an amputation was inevitable. Then someone had the idea to ask Prof. Kabelik, who was known for his research on the medicinal use of cannabis, for help. He applied his hemp salve and two days later the wound was already healing and the amputation was avoided. “There is no better treatment for severe burns than hemp oil. If the oil is applied to a burn within minutes it takes the pain away and greatly accelerates the healing process. I have seen severe third-degree burns healed completely in eleven days with no scarring. If hospitals would use hemp oil in their burn units, human suffering could be greatly reduced. CBD Hemp oil is a natural anesthetic and a natural antibiotic, so there is no sensible reason why it is not being used by the medical system in their burn units,” says Rick Simpson. If you care about medicine, people’s lives and what they suffer through, you will be interested in studying marijuana and its use in the treatment of disease, not only physical syndromes but mental and emotional ones as well. A Seattle company is reportedly developing a medical marijuana patch for pets, calling it a “question of quality of life.” Jim Alekson’s Medical Marijuana Delivery Systems, LLC has patented the patch, called Tetracan, and says it could be used on dogs, cats, and even horses. The skin patch would be available for human use as well. According to Alekson, “Dogs suffer from the same maladies that humans do,” and pets can suffer greatly from pain—everything from arthritis to cancer. He said that harsh pharmaceutical painkillers have proven harmful, sometimes fatal to animals. Mary’s Medicinals says that you can put it on your wrist and the effects last 8-12 hours. The skin patches come in six different varieties — indica, sativa, hybrid and then isolated cannabinoids like CBD and CBN. They also have a few other products like gels and CBC compounds that are good to supplement your patch. The patch itself works similarly to a nicotine patch. It delivers the cannabidiol straight into your bloodstream. You avoid all of the side-effects of smoking or eating it. Mary’s says that one 10mg patch is approximately equivalent to an 80mg edible. Most of the THC is going into your bloodstream instead of being broken down by your stomach acid. It’s an efficient way to medicate. Medical Marijuana its going legal in many places and the United Nations would like it legal everywhere. Dr. William Courtney tells his patients “Don’t smoke the stuff. Eat it!” It won’t get you high eaten raw, and juiced with a handful of carrots to cut the bitter taste, its leaves and buds may well offer an important contribution to getting people well. 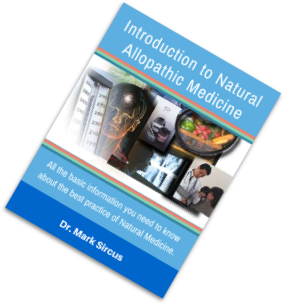 Special Note: Mediucal Marijuana is not the only component of the Natural Allopathic Protocol that resolves skin conditions as skin cancer. Read a testimonial on Melanoma. Also read about transdermal treatments for breast cancer for other ideas about treating skin cancer. Transdermal marijuana treatments is highly recommended for breast cancer patients. Dr. Tullio Simoncini uses iodine to treat skin cancer. 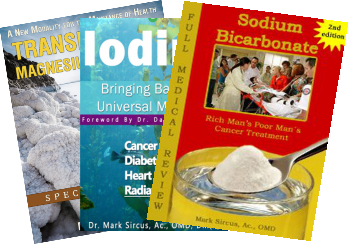 Also read Principles and Practices of Transdermal Therapy. Medical Marijuana is the definitive chemotherapy of the future with worldwide research sustaining that viewpoint. 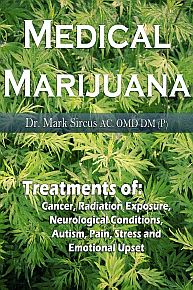 Buy the Medical Marijuana 2nd Edition eBook!